If you have trouble maneuvering your ship into port at Marseilles, steer yourself over to the master post. I don’t mean a hero I can “root for” (ugh, hate that phrase.) And I don’t mean the archetypal hero, like, an Odysseus type. I don’t need a hero’s journey and I don’t need Dantès to be more virtuous. Unless the Odysseus part is played by Jude Law, as in loose-Odyssey-adaptation Cold Mountain. Then I’m here for it. I need him to be wrong sometimes, to go too far. I need him to get what he wants and realize he wanted the wrong thing. I need him to have a fatal flaw. I need him to have some passion, damn it! Book blogger extraordinaire Kristilyn (@readinginwinter) wrote a fantastic piece about making bookish friends. She inspired me to write about last month’s yegbookswap. 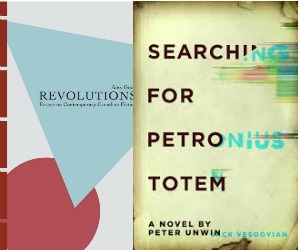 1) Everyone brings three books. One they loved as a child. One they loved as a teenager. One they loved as an adult. 2) Used or new paperback books are encouraged, to keep down costs. Just make sure the used copies are in decent, readable shape. 3) All the books go on a table, we socialize and talk books for a while, and then everyone goes home with three new books. I was super excited to have a few hour’s worth of adult conversation. Meeting fellow book lovers was just a huge bonus. I had my four-month old in tow, but he’s pretty docile. I wisely left the two-year old at home. Apart from picking up some great new books for free, I met up with friends old and new, online and “real life”, and met people who I had no connection to at all. A huge thanks to Andy and Vanessa for putting this event together. The funny thing about my child/teen/adult choices is that I read them all in my teens. 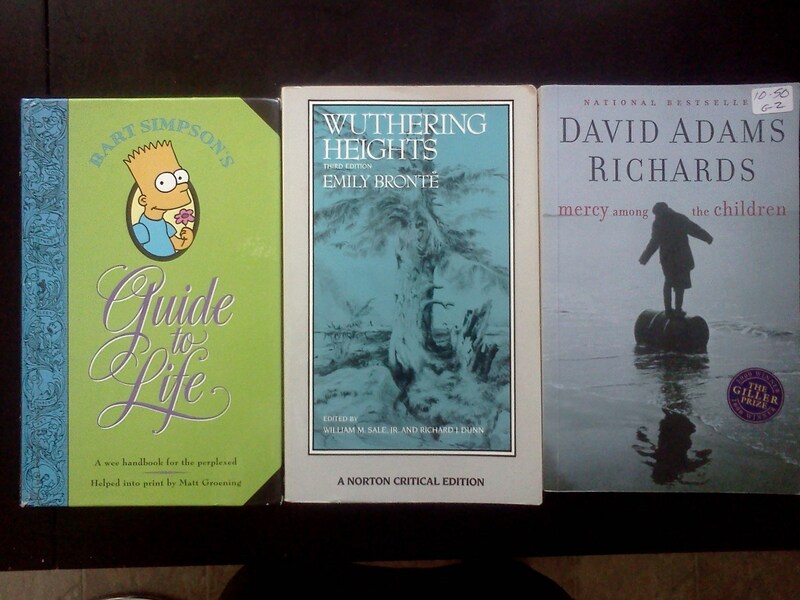 I remember buying Bart Simpson’s Guide to Life when I was 13, I read Wuthering Heights for English in grade 11, and I read Mercy Among the Children when I was 19. I was a late bloomer and pretty much a child at 13, and though certainly not mature at 19, I remember thinking that this was such an “adult” book. Meaning I didn’t really understand it. I’ve reread it a few times since then. I’m nearly finished Douglas Adam’s The Long Dark Tea Time of the Soul, and it’s a perfect, light, funny book with a wild plot that I can’t imagine being resolved in the 50 or so remaining pages! 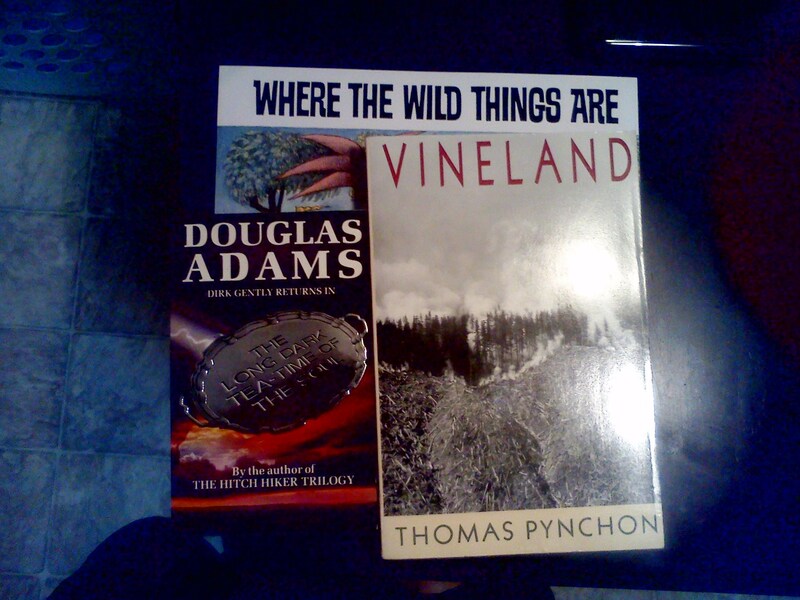 I know nothing about Thomas Pynchon or Vineland, except that it is actually one of the 1001 Books You Must Read Before You Die! Bonus!! So? Do you have a good group of bookish friends? How do you make more? And, If you were at yegbookswap, I would love to read your review of the event!